An evening of live meditative music on the night of an auspicious full moon. 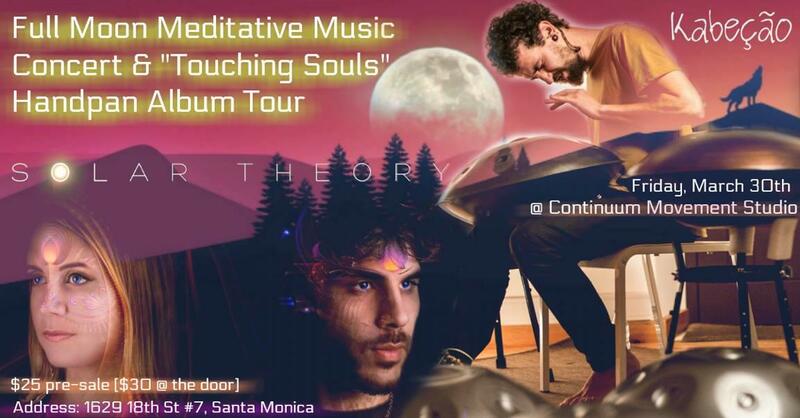 Solar Theory is joined by Master handpan artist Kabeção, in his "Touching Souls" Album release tour. There will be live visuals, music, CBD elixirs, tea, and more!